Maggie Selzer & Garrett Bullock: What is Motor Control? Home » Maggie Selzer & Garrett Bullock: What is Motor Control? Motor control is a phrase that surfaces often in the realm of physical therapy. Sometimes as part of a discussion related to theories of motor control and/or motor learning, sometimes in the context of biomechanics and sometimes in the contest of examination and treatment, amongst other topics. Motor control is a phrase that guides principles of both examination and treatment and has succeeded in sparking much debate among students, faculty and clinicians. The following word clouds represent the most commonly used words to answer this question from 11 faculty members. One of the images includes the words ‘motor,’ and ‘control,’ while the other doesn’t. If you are interested in seeing the full answers you can check those out at the end of this article. 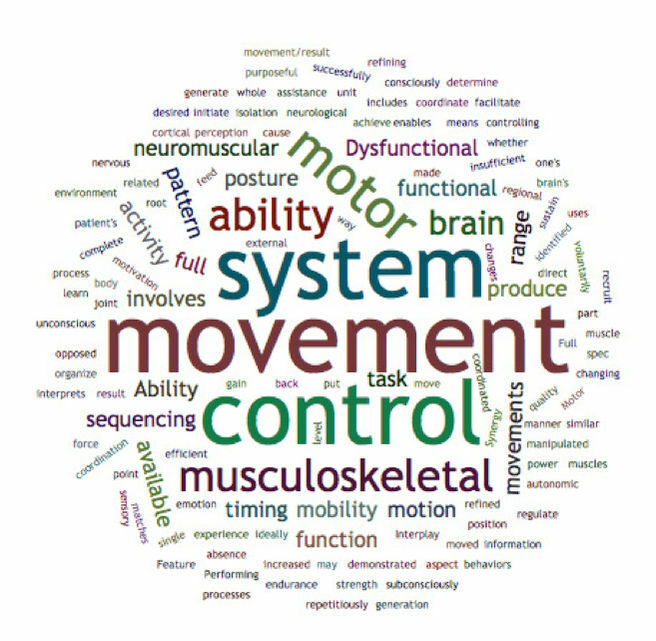 While there was a significant amount of overlap in the words used to describe the term motor control, every answer had some variety to it. Why isn’t there a more unified definition for this term? Why do all the answers to this question have so much overlap and similarity, but then when we move from definition to discussion about motor control we encounter much disagreement and debate? Consider this definition of motor control from neuroscientist Vernon B. Brooks: Motor control is a field of study covering sensory, perceptive, and motor functions. Perhaps part of the difficulty in asking the question, “what is motor control?” lies in the fact that this term covers an enormous breadth of potential topics such as: motor learning, theories of motor control, movement synergy, therapeutic exercise . . . etc. Put more simply: It’s a garbage can term. Perhaps likened to other terms we have come across such as core stability, tone, lumbago and patellofemoral pain. Each of these terms/phrases has meaning and provides us with some amount of information, but none of them are specific or descriptive. The field of motor control is relatively young, and there is still no universal agreement on the main goal of research in this field. I would define motor control as a field of research trying to discover laws of nature that describe interactions within the nervous system, and between the nervous system and the rest of the body and environment, leading to purposeful movements by biological systems. If motor control is a field of study, and the people at the front of the field don’t even know what the goal of research in their field is . . . no wonder we can’t come to a consensus on this question! So how does the profession of physical therapy fit in to the field of motor control? How do we move forward to be able to discuss these concepts in a way that is productive? Use descriptive language. Motor control is an entire field of study. We must be tireless in our effort to clearly express what it is we are actually trying to say. It’s not enough to say that someone has a motor control problem. What do you ACTUALLY mean? Is it a problem in the cortex? Is it a motor learning problem? In my research on this subject, it became clear that the lack of a universal language to discuss the concepts of motor control have been a major barrier in the progress of this field of study. Furthermore, lack of a universal language has been a barrier in our own field of physical therapy when it comes to describing movement and why a person’s control of their movement is impaired. While it may not be your responsibility to create a unifying language to describe the field of study known as motor control, as a student, a faculty member and as a profession, we all need to challenge ourselves to use more specific and descriptive language in our conversations surrounding the topics of motor control. 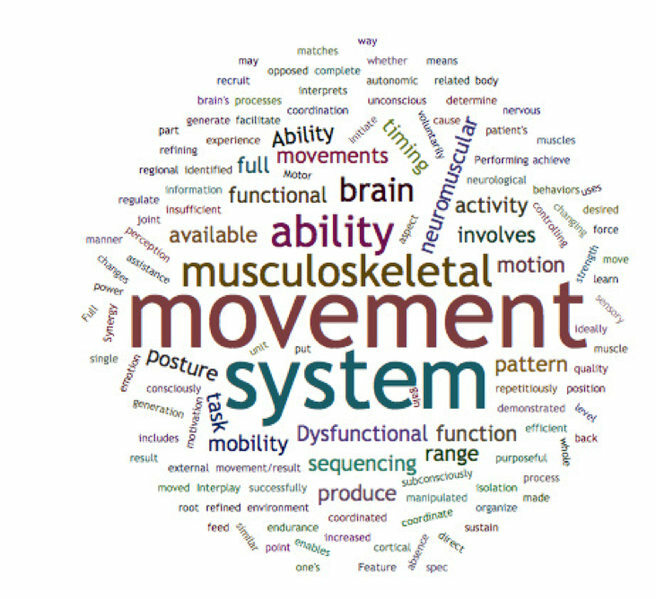 Assessing and describing movement are central to the mission of our profession. And the concepts of motor control so centrally fit in to the discussion related to how we optimize movement. I think it’s safe to say that no matter what type of training/education you are receiving or have received and no matter what niche of physical therapy you have ended up in or are headed towards, movement will inevitably be a part of your practice. But how big of a part of your practice will movement be? 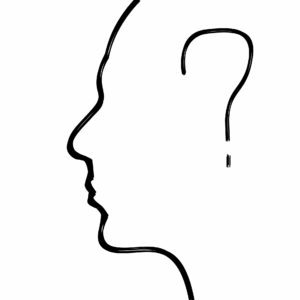 At what point in a patient’s/client’s experience does movement become relevant? In the real world, we know that it’s much more common to see the entire gamut of possibilities. 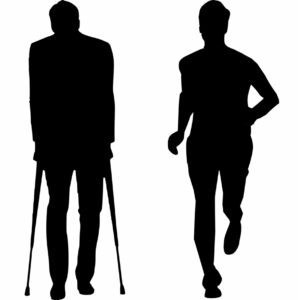 For example, the person who we might expect to have pain from a herniated disc on imaging but who moves very well and does not have pain; or the person who through clinical observation and imaging cannot be determined to have pathology but moves badly and is in a lot of pain. Having these variables that exist along a continuum and all interplay with one another makes our job as physical therapists challenging. What are we to do? Ultimately, we are trying to “transform society by optimizing movement to improve the human experience.” What is the right treatment approach? If you find yourself struggling to answer this question, you are not alone. In fact, the concept of movement is one that has recently gained a renewed sense of importance in our profession. The APTA reorganized its vision statement around the concepts of movement proposing to place the concept of the human movement system at the core of who we are and what we do. The human movement system comprises the anatomic structures and physiologic functions that interact to move the body or its component parts. Physical therapist provide a unique perspective on purposeful, precise, and efficient movement across the lifespan based upon the synthesis of their distinctive knowledge of the movement system and expertise in mobility and locomotion. Physical therapists examine and evaluate the movement system (including diagnosis and prognosis) to promote a customized and integrated plan of care to achieve the individual’s goal directed outcomes. Physical therapists maximize an individual’s ability to engage with and respond to his or her environment using movement-related interventions to optimize functional capacity and performance. The concepts surrounding a human movement system are broad, having implications for practice, education, research, etc. I would hazard to guess that these concepts might elicit some amount of discomfort among practicing clinicians and students alike. As our profession grows in to its new identity, however, some amount of discomfort seems expected. I hope that initial discomfort evolves in to a sense of excitement as you consider what it means to you to be a human movement system practitioner. For more information about the Human Movement System and what it means for our profession, I would encourage you to read this. For a more detailed account of how the concepts surrounding the Human Movement System have evolved within our profession, I encourage you to read this perspective piece by Shirley A. Sahrmann. The ability of the neuromuscular system to organize itself to produce purposeful movement as opposed to autonomic function. Performing an activity repetitiously with unconscious control in a similar pattern of movement to the point of changing cortical activity in the brain. The patient’s ability both consciously and subconsciously to successfully initiate, sustain, and complete a movement related task. Synergy of the brain and musculoskeletal system to coordinate movement. Ability to voluntarily control some aspect of the musculoskeletal system whether that be in part or whole (unit or single muscle). Ability to facilitate control, and produce the desired movement/result. OR the ability to control one’s motor. Feature of movement that involves the ability to recruit muscles with timing, sequencing, and force generation that matches a functional task. The processes that the nervous system uses to generate, regulate, and learn motor behaviors. Your brain’s way of refining and controlling your movement. It’s a process that your brain interprets sensory information in a spec environment to determine your output for movement. It’s refined by experience, perception, emotion and motivation. A function of the neurological system that involves the musculoskeletal system that enables us to move in a coordinated manner and includes timing, sequencing, and quality of movement. Interplay of the neuromuscular and the musculoskeletal system to direct movements gain feedback from those movements and the external system and ideally to achieve a functional efficient pattern of movement. Motor control is the means by which the body is moved and manipulated through the available range of motion. 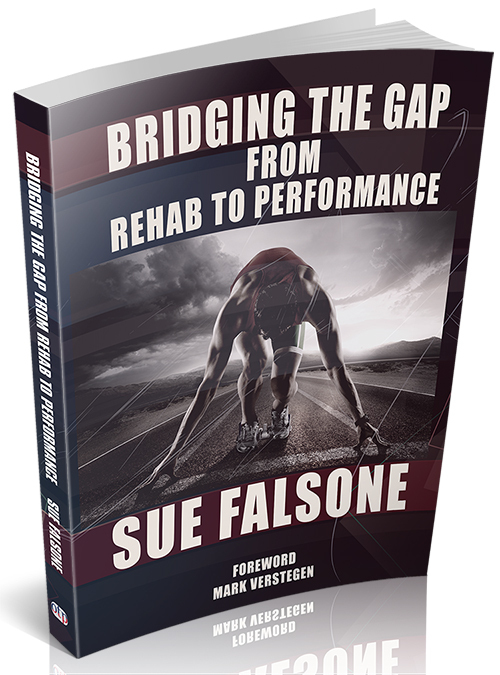 Full motor control cannot be demonstrated in the absence of full mobility. Dysfunctional motor control may have strength, posture, coordination, endurance, power, or insufficient regional mobility as its root cause. Dysfunctional motor control is identified when full or increased range of motion is made available as a result of changes in posture, position, level of assistance or joint isolation. 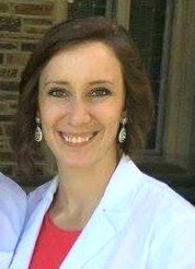 Maggie graduated from Duke University and currently works in the outpatient orthopedic setting. She is owner and head physical therapist of Excelsior Physical Therapy in Yuma, Arizona. She has a special interest in working with military and first responders. Currently, she is working to receive her fellowship training in orthopedic manual physical therapy. 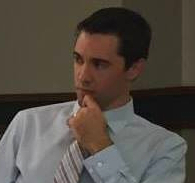 Garrett Bullock is a physical therapist and is currently reading for a Doctor of Philosophy in Musculoskeletal Sciences at the University of Oxford, UK. Prior to becoming a physical therapist, Garrett was a 4-year letter baseball winner at Wake Forest University and former professional baseball player in the Houston Astros Organization. Garrett has authored numerous scientific publications and has presented at the national and international level. His clinical and research focus is on athletic development, overhead athlete injuries, and the role of physical activity and sport on musculoskeletal health. Two of the sharpest minds in functional rehabilitation practice, Charlie Weingroff and Rob Butler, get together to discuss pain, rehab from injury and recurring injury -- how we should go about getting out of pain and fully rehabilitated, with the goal of complete motor control and a lessened chance of future injury.